All warranty claims are handled by your dealer... Contact your dealer if you have the following issue. 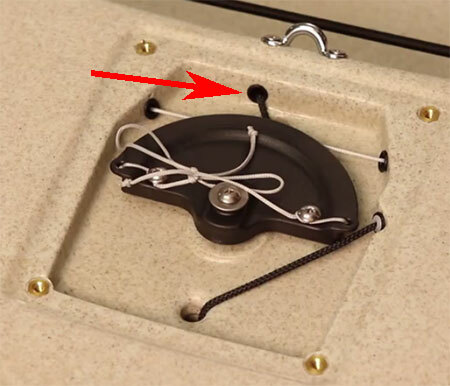 Not all 2015 boats have this issue, read the detail concerning the differences. 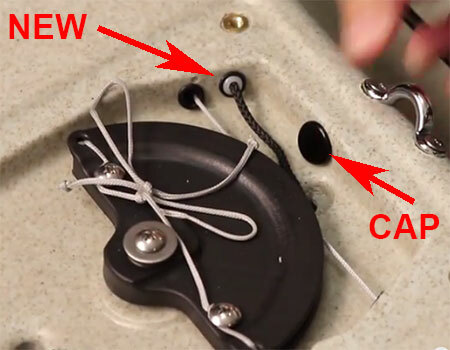 We have discovered a problem with the routing of the tracking skeg's up-control line in some 2015 Pro Angler 12 and 14. The line has excessive friction at it's exit point within the steering drum area, under the black plate. We have received some reports of lines cutting into the exit grommet. This affects 2015 model serial numbers ending in 415 as well as A515, B515, C515 and possibly a few boats in D515. The issue was corrected on the assembly line April 2nd. We have created a kit and instructions for re-routing this line. The video below explains the fix. It should take about 10-15 minutes to complete. Kits should be ordered through warranty. The kit contains a 5/16 panel rivet and a short line tube with end grommet. This is not a safety issue. No leaking is caused but function of the tracking skeg could be compromised. Owners wishing to do the update should contact their dealer to file a warranty claim.